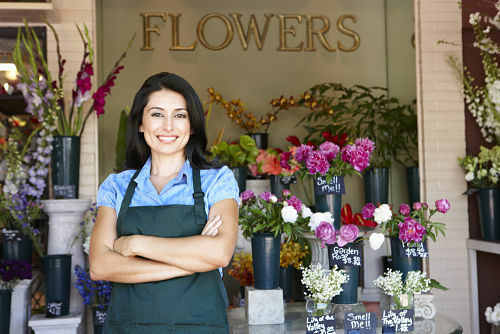 Smarter Loans > What is a Business Line of Credit? There are several very valid reasons for a company to open a business line of credit, since there is always a need to keep operations running smoothly no matter the nature of the business. And in today’s competitive society, a business line of credit is the norm, rather than the exception. 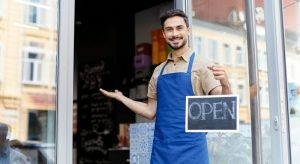 Although other business loan options are available, such as business credit cards, a vast majority of business owners choose to maintain a line of credit. Why have so many companies benefited from this form of financing? What types of credit lines are available to businesses? Basically, a business line of credit (LOC) is a revolving loan account that businesses can access as needed. The amount of the loan is fixed; however, because it is a revolving loan, the business can recycle the money as the balance is paid down. The available amount rises with each payment. A business line of credit can serve as an uninterrupted capital supply to fill in any missing pieces for profitable day to day operations. Business owners often rely on a line of credit to take advantage of a great price on inventory, upgrade equipment, or tide the business over in a pinch. 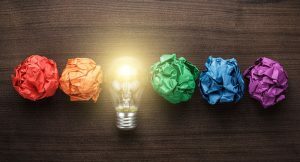 While it should never be used as a means to bring a failing business back to life, a business line of credit can be the bridge needed while waiting for expected profits. A business line of credit differs from a business loan. A business loan is also approved for a certain amount, but the business receives the amount approved in one lump sum. Each month, the payment goes toward paying off the loan, plus interest. Once the loan is paid in full, the contract ends. A business loan is often used to make a specific purchase such as a vehicle, building or equipment. -A secured business line of credit falls into the same category as secured loans, such as auto loans and home mortgages. Lenders ask for some type of security as a guarantee of repayment. For a business, security can be assets such as equipment, but lenders usually ask for inventory or accounts receivables as collateral. -An unsecured business line of credit is approved without the need for assets or property for security. Businesses with a higher credit rating are mostly approved for this credit line since the risk for the lender is higher. Interest rates tend to be higher (and the credit line lower) for unsecured business lines of credit. 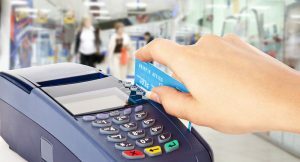 In addition to the monthly payment plus interest, other expenses a business can incur with a line of credit are an annual fee and transaction fees, if there are a large number of cash advances on the credit line. The limit for a business line of credit will run from about $5,000 to ten times that amount or more. Businesses with a well documented record of profitability are more like to qualify for higher limits with lower interest and fees. The lender is trying to make sure the business is asking for funding for a company that is growing (and not a failing or failed business venture). Therefore, they will not offer a business line of credit to a start up business. They also take a look at whether the money is needed to meet immediate expenses not related to profits, or if it is needed to cover loss. Either of these uses can also be the basis of a denial. The more a business owner knows about a business line of credit, the better the chances of a mutually successful transaction. All too often, the difference between approval, denial, or paying less interest and fees can be just a small tidbit of information. Below are some quick tips for a handy reference. Business owners should get a clear understanding of the potential lender’s qualifications, interest rates, and fees prior to the application process. Lenders reserve the right to call in a business LOC and ask for full payment of the balance, depending on the market. Businesses should have a second plan ready if they are dependant upon funding from the business line of credit to stay viable. The best time to open a business line of credit is ahead of when it is needed, when the business is experiencing a strong cash flow. A business line of credit should never be used to cover losses because the chances of paying it back are slim. If the line of credit is secured, the business can lose assets. If unsecured, a lawsuit due to nonpayment can result. To maintain a good relationship with the lender, the business owner should let the line of credit “rest” periodically. This means getting the balance down to zero for a while before withdrawing more money. Only getting what is needed (and not what is available) will help a business owner accomplish this tactic. For businesses that need finances to cover temporary cash flow issues, or want to take advantage of an immediate business opportunity, a business line of credit is an ideal solution. They are also an excellent go-to resource to use for financing marketing campaigns to generate extra revenue for the business. The flexibility of a business line of credit also provides a financial safety net for the business that will be available right on time.